We have some experience in setting up CCTV systems which link to the Internet. We may be able to help with router configuration to allow you to access your CCTV system remotely from a computer or mobile device such as an Android phone, or tablet. 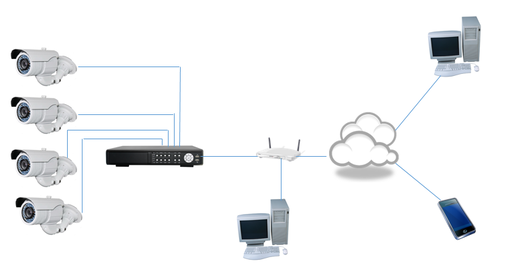 NVR (Network Video Recorder) where cameras are linked to the box indirectly, through an access point which can sit off your network, or router..